We are here! 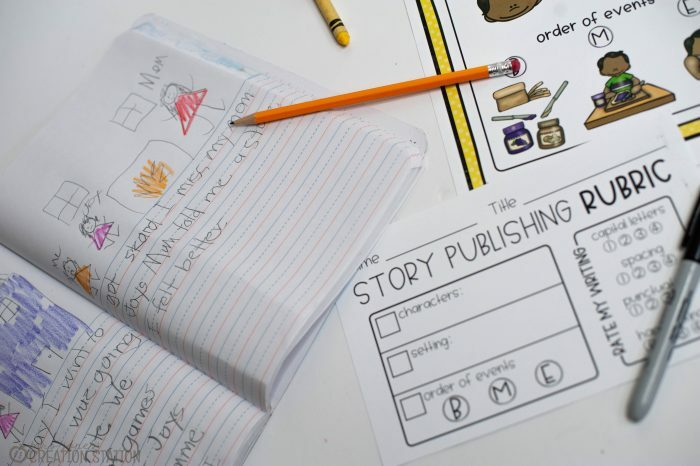 Your little writers have spent quite a while writing a story. It’s now time to go to the publishing stage. I know they have worked hard to get to this point, and you, as a teacher, have worked hard for them too. So, let’s get to publishing! I always start this step by going over the Publishing guidelines. We once again go over characters, setting, problem and solution. Then I remind them that a story has a solid beginning, middle and end. I made sure to add colorful pictures that will help with those that can’t read all the words yet. It’s also a great tool for my ESL students. 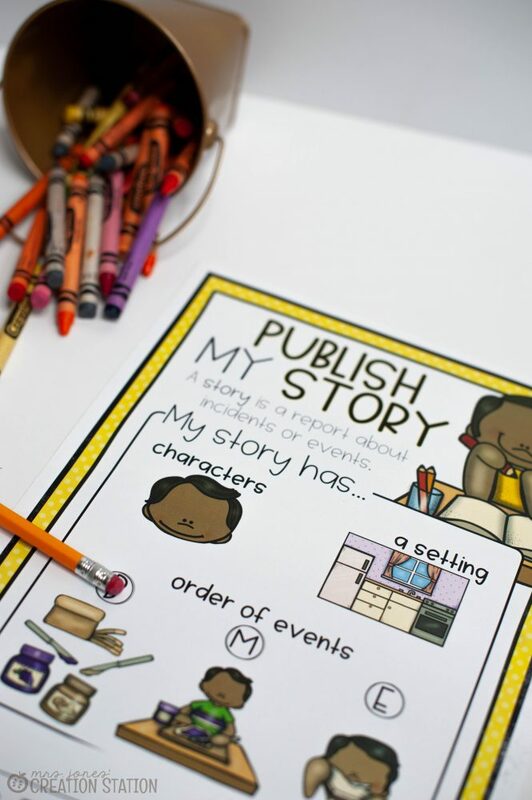 As a class, we also talk about what publishing means. I pull out our favorite picture books and show them the beautiful artwork and the writing. I ask them if they see any sloppy work on the pages. Next, I show my students how I will grade their stories. This rubric is easy to understand, especially for parents since they aren’t in class with us. I make it easy for my students to understand so I am not bombarded with questions. And this is a way for them to monitor their own work. Now it’s time to send them off to their desk! Their excitement is my absolute favorite. I make this stage a big deal. It’s the end of their hard work, and it’s all going to pay off when they write their final draft. I like to give them special publishing paper too. I never knew that a white piece of paper with special lines on it could make a group of kids so excited! Again, this is a special time and I want to celebrate it. Once everyone is done writing their final copies, we celebrate! 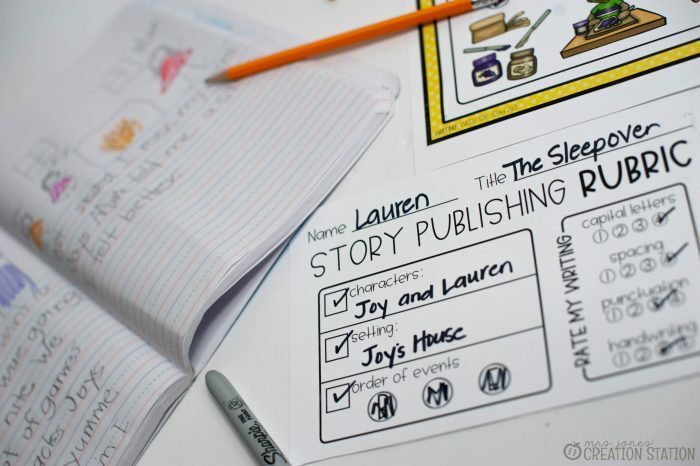 Our first story is always a big deal, so I make that day extra special. You know students. They want to get up and share. I invite parents to come, I may have balloons in the classroom, and maybe some snacks! I invite my little writers to dress in their nicest clothes. It’s absolutely precious to see them standing in front of the class sharing their own story. I’ve really enjoyed sharing these tips and tricks the last six weeks. I hope I’ve offered you something that can help you in your students’ writing journey. 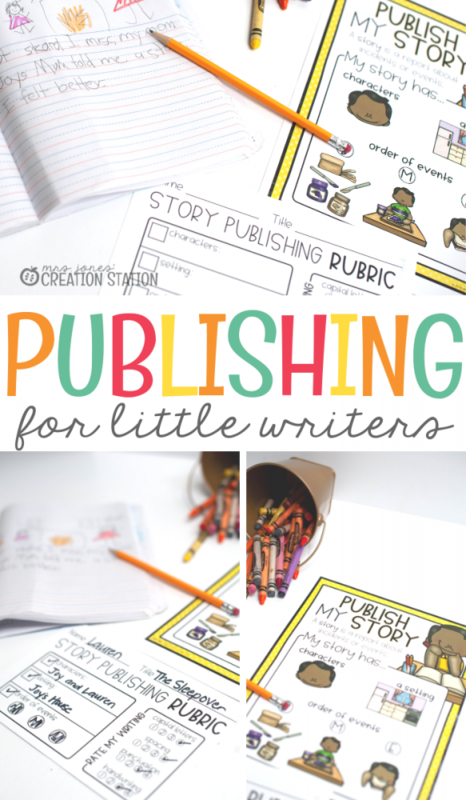 You can grab this Publishing Rubric and Guide for FREE by clicking on the download box below!